zafari, S., Marhamatizadeh, M., Azadneya, P. (2013). The Effect of Dorema Aucheri on the Activities of Bifidobacterium Bifidum and Lactobacillus Acidophilus in Probiotic Milk and Yoghurt. International Journal of Advanced Biological and Biomedical Research, 1(9), 1033-1039. Sadegh zafari; Mohammad Hossein Marhamatizadeh; Parisa Azadneya. "The Effect of Dorema Aucheri on the Activities of Bifidobacterium Bifidum and Lactobacillus Acidophilus in Probiotic Milk and Yoghurt". 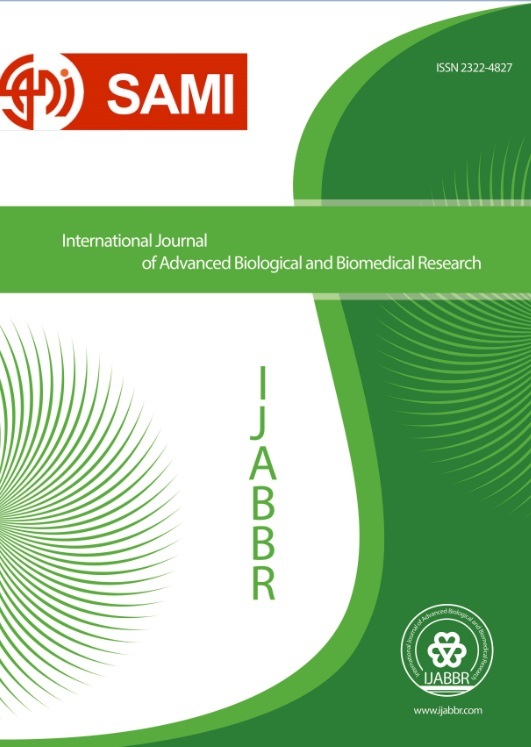 International Journal of Advanced Biological and Biomedical Research, 1, 9, 2013, 1033-1039.
zafari, S., Marhamatizadeh, M., Azadneya, P. (2013). 'The Effect of Dorema Aucheri on the Activities of Bifidobacterium Bifidum and Lactobacillus Acidophilus in Probiotic Milk and Yoghurt', International Journal of Advanced Biological and Biomedical Research, 1(9), pp. 1033-1039.
zafari, S., Marhamatizadeh, M., Azadneya, P. The Effect of Dorema Aucheri on the Activities of Bifidobacterium Bifidum and Lactobacillus Acidophilus in Probiotic Milk and Yoghurt. International Journal of Advanced Biological and Biomedical Research, 2013; 1(9): 1033-1039.